Discussion in 'Off Topic' started by MsRowdyRedhead, Sep 21, 2015. As Eeebs begins his quest to find the villager named Runt, he learns much more about the nature of his world . . . and almost wishes he hadn't. Who is he? Why does he exist? What's his purpose? How can a human with a broken sword be so important? Most of all, can villagers and humans really coexist with monsters? 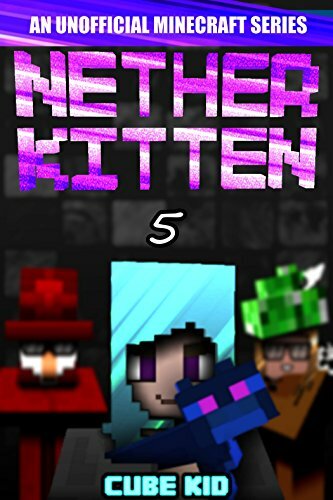 This ebook contains over 70 images and 9,000 words -- it is, by far, the longest in the Nether Kitten series! Note: this ebook will be available free one day after publication, for a duration of five days. ames was just like a lot of 20 year old gamers, tired of the number of games that didn’t keep him engaged. While scrolling through YouTube, passed all the adorable cat videos and fail compilation videos, he came across the sub-genre of “Let’s Play” videos. He immediately fell in love with a YouTuber who began a play through of the game Minecraft. So when James found out he had won a unique character skin by being the 30 Millionth Minecraft user to buy a copy of the game, he couldn’t wait to sit down and begin his second life building and living in a world made up entirely of his own imagination. Everything seemed normal enough until he logged in for the first time and noticed that his personal gameplay would be much more sinister than he had watched online. Through some error James was awarded the character skin of Herobrine. Thought to be an urban legend created to scare away younger players, he appeared in James’ world and began to torment him in, and out of, the game. After making James promise to never play the game again, Herobrine seemed to move on and left him alone. However, James had spent so long watching the videos that he couldn’t stand to just be an outside observer anymore, he had finally gotten a taste for the game and needed to play more for himself. So, breaking the promise he made to Herobrine, James reentered the world, unknowingly risking the lives of all the other characters on his server. After banding together with the other players to hold back Herobrine’s initial attack and save their server, James formed an unlikely bond with the villagers of Gilesh. But even though they were able to thwart one attack, how would they fend against another? 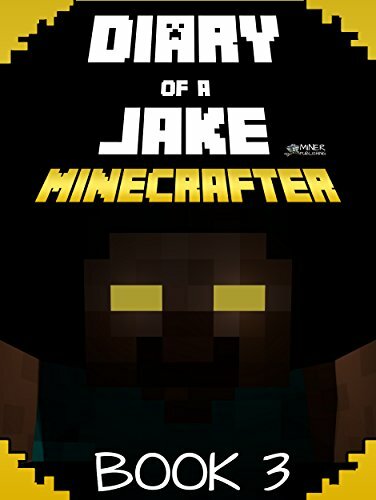 Will James be able to save himself and his new friends, or will he become just another one of the many forgotten characters that will fall in the wake of Herobrine’s reign of terror. Mike, is living a peaceful life on his newly built farm, after defeating the evil Herobrine and saving the world of Minecraft from falling under his dark reign. But Mike’s peaceful existence is shaken up by two of his friends that up until that moment, he thought he had lost. Jerry, Mike’s best friend and his former enemy, turned ally, Micah, bring Mike news of a far away mountain that holds an unimaginable treasure. It doesn’t take long until Mike is convinced to embark on an adventure alongside his two buddies. What awaits our three young Minecraft questers in their new journey? Find out in “The Dragon’s Mountain, Book One: Attacked by the Griefers. My name is Z, Z the zombie. I’m starting middle school this September, and I have no idea what the next few weeks will have in store for me. I have a funny feeling that my older brother, R, will try to cause some problems for me, but I’m going to try not to let it get me down. After all, I have my skeleton friend, Bonnie, and my zombie pigman friend, Trevor, to help me out of any hard spots that I might land myself into. Who knows? I might even make another friend. This school year will be my new start. I’ll try to make new friends, join a club, and annoy my older brother a little bit, too. I hope this school year is ready for me because I’m ready for it! 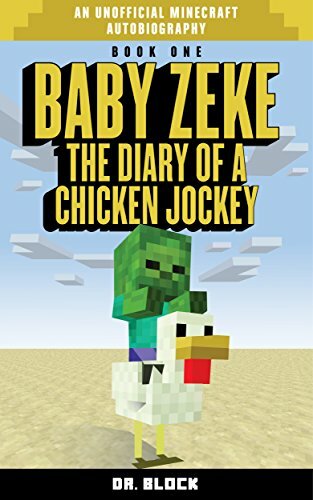 Zeke was spawned as a baby Minecraft zombie, and everyone made fun of him because of his size. But after meeting Zeb, his full-sized zombie mentor, Zeke learns that he has special powers that will help him survive in his crazy world. 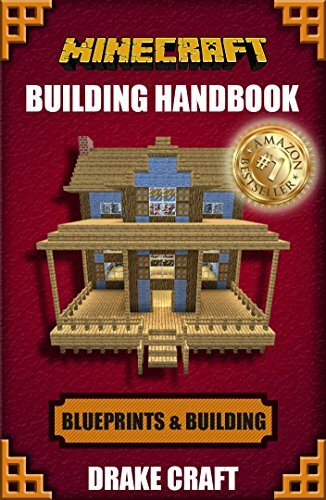 Minecraft: The Ultimate Survival Handbook: Spectacular All-in-One Minecraft Game Guide. Are you prepared to learn how to play Minecraft like an expert? 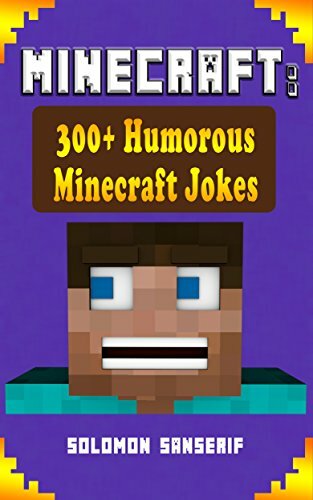 This book Minecraft: The Ultimate Survival Handbook will guide and offer you with powerful tips on how to play Survival like the finest Minecraft players! You can have an incredible time once you know the secrets that the best players know, and this book will share all of this and more. In this book, experts will guide you by the hand and teach you everything that you want to know. You will also get step-by-step guidelines for amazing recipes and ideas. You'll be playing like a pro in no time! With only her wits and crafting skills to help her, Trish fights zombies and creepers, explores secret temples, battles pirates, and solves mind-boggling puzzles. Even after befriending a wolf, she's in way over her head. She soon learns that the Blade of the Sea protects an even bigger secret. According to legend, it is the key to an ancient treasure with the power to bring the world to its knees. 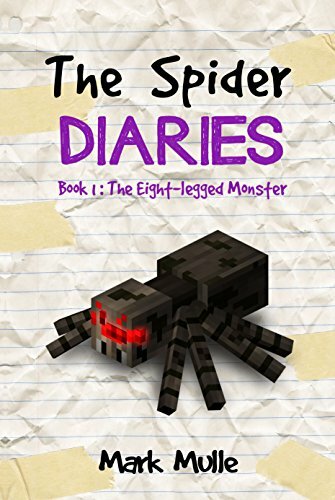 Minecraft: Diary of a Minecraft Ender Dragon: Legendary Minecraft Diary. Yes, there’s a dragon in Minecraft but he lives all alone in the mysterious End realm. 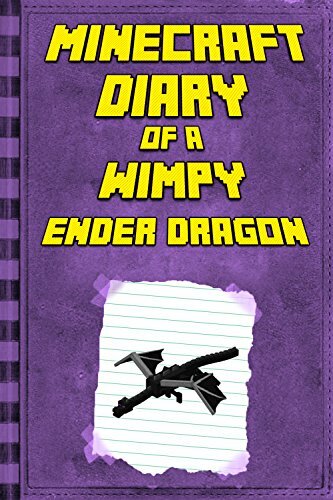 If you’ve always wondered what goes on in the head of the lonely Ender Dragon, then the Diary of a Wimpy Ender Dragon will be perfect for you. Join Ander as he gives you glimpse into his lonely, hectic life. Life isn’t easy when you are the only dragon in Minecraft and the Diary of a Wimpy Ender Dragon highlights this and more. 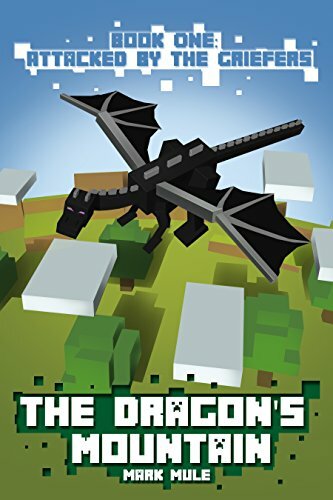 Uncover the secrets of the Minecraft dragon and get to know how he deals with pesky players who are always looking to kill him. A young wolf named Sharp finds an unlikely friend in a boy being bullied. Together, they'll explore secret chambers in temples, fight zombies and spiders, and a set out on a quest for revenge. Fans of the Elementia Chronicles and the Gameknight999 series will be drawn to Jesse Nethermind's epic tales of treasure hunts, pirates, ninjas, and more. 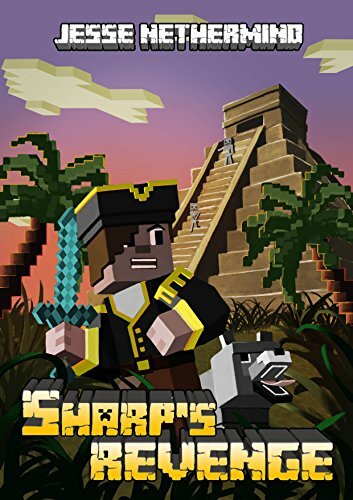 Filled with action, humor, and monsters galore, SHARP'S REVENGE is the perfect adventure story for Minecraft fans! Remember the first day in Minecraft? You are rushing to find materials, find coal, and build a shelter before you get attacked by creepers and skellies. Typically you build a house so quickly that it ends up being a hole in the dirt… or a 5x5 cube made of dirt! Either way, it ends up looking TERRIBLE. You continue to slowly gather materials, and block-by-block build your house to look better and better. But unfortunately, it never looks that awesome. It doesn’t turn into something that you’re proud of and want to see everyday because you didn’t start with a plan or design in mind. 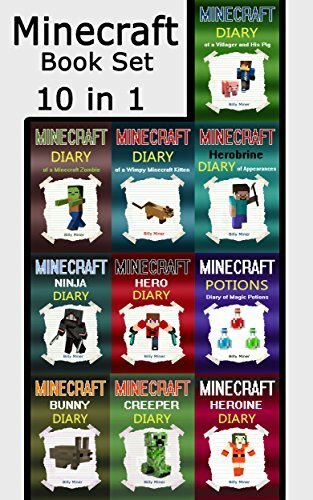 A unique book combo with 10 different Minecraft stories! Story 1: Marcus grows up on a farm, with pigs, horses, and chickens. He works at a construction company, but the appearance of certain animals makes him question his background. Is Marcus really destined to be more than what he is? Find out in this child-friendly Minecraft story. Story 2: John and Jane find themselves fighting back hordes of zombies and wonder if it is ever going to stop. But then they meet a zombie who is different from the rest. Will this particular zombie lead them to the solution of the apocalypse? Read the book and find out! Story 3: Whiskar is a scared kitten. His older sisters and mother always protected him. He gets teased by other kittens, and he especially a wimp when it comes to water. He hates it! He won’t go near it… until a certain event in the harbor village changes his life forever and turns him into a true hero. Read the book to find out how he does it! Story 4: The Minecraft Herobrine is a mysterious figure showing up in the game, spooking people out, planting trees randomly and building pyramids in inconsistent locations. 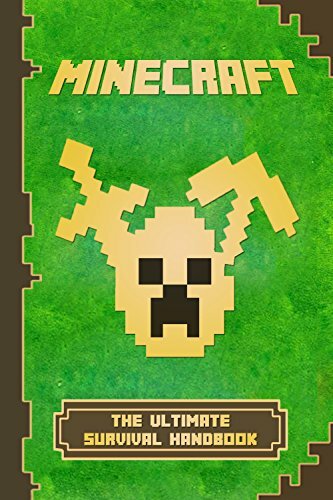 Discover through this book what the Herobrine has to say about his reasons for doing so and find out more about this mysterious being in the Minecraft world. He loves puzzles, he hates the fact that his brother died, and he is a genius beyond any reasoning. Read the book to find out how he does it! Story 5: These Minecraft ninjas are on a mission. They detest the inequality in the Minerslands and decide to do something about it. Providing for the poor and stealing from the rich is their purpose, but they are yet to face a true evil among them, another ninja who stands in their way and seeks nothing else but to destroy these benevolent guys. Follow the diary of the three fighting ninjas who stay in the shadows and become more than just vigilantes. Story 7: Meet Gabe, a boy with a high intelligence and a moral conscience. In his chemistry class, the teacher challenges all the gifted students to find a formula that can change the world. After heading to the school library, Gabe finds a dusty book with ancient spells and potions recipes, with which the possibilities are almost endless. He succeeds but wonders about the consequences of these potions. Read this intriguing children’s story in which a boy struggles with a moral decision and acts according to his values and principles. Story 8: Billy the Bunny is a smart one. He is inventive, which shows after trying to use his sister’s doll for a slingshot. His brother Mart and he are innocently playing in the fields, until they discover a threatening creature that will bring the life of thousands of rabbits in danger. Will Billy and Mart find a way to trap the wicked hunter with its clever wits? Find out and read the book. Story 9: This is the story of a generous and passionate creeper who lost nearly everything and climbed out of the gutter to follow his passion. Cayden the creeper is a lonely creature by far, with vengeful tendencies, but his life gets turned around when someone performs a kind deed, returning the favor. Read about this Minecraft creeper who found his purpose and changed his path. Choose your own Minecraft Quest as a warrior princess! Adventure 1: This book is a little different from regular story books. In this adventure, YOU are the adventurer. By making choises, you determine your destiny as the treasure hunter who faces all kinds of Minecraft enemies and very real dangers. Simply click on the links in the E-book version or go to the page of the printed version to continue your journey after making a choice. Enjoy this brief, interactive Minecraft story in which you decide how it’s going to end. Adventure 2: You are the heroine, the princess who is searching for her identity. Your purple eyes make you unique, but you have no clue why. In a quest for meaning, you can choose your own path by going to the Nether, the End, or a lake in the middle of nowhere. Pick a marriage partner, decide what to do with the enemies you face, and solve the problem by finding out what the evil queen has done in the past. This unforgettable journey is a page turner, but you’ll have to turn pages back and forth, since this adventure will take you all over the place. Adventure 3: You are a soldier in the army, a combined army of men from several villages who try to defend their homes and freedom against dangerous creatures, like CREEPERS!!! But then something happens… your friend gets wounded. Will he die? Or will you find the cure by collecting the three magical gems, hidden in distant areas where filthy zombies, snakes, and wolves abide? It’s up to you! Why? Because this is a story where you get to make choices. You, the reader, choose which adventure you’re going on. Adventure 4: After a theft at the museum, the grand detective, Mr. Questionmark, calls you over to do some research. With your two big knives and your sneaking and fighting skills, you are perfectly equipped to bring back the three valuable pickaxes that the villain stole. 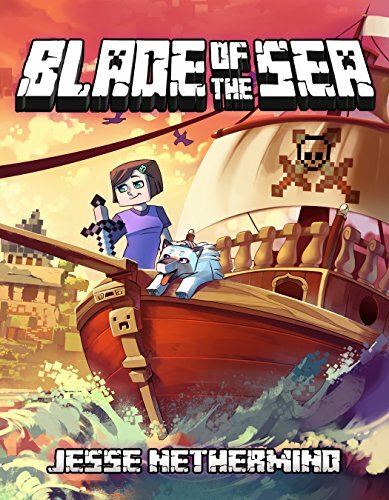 Some adventure, some action, and a sprinkle of romance make this self-adventure an unforgettable Minecraft book. 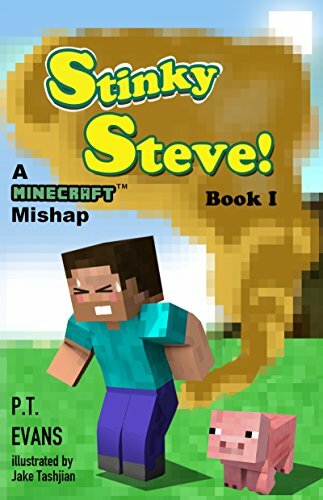 See what happens in the wonderful world of Minecraft when Steve can’t stop farting. Are the Creepers and Zombies terrified – or attracted – to Steve’s toxic smell? Can Steve find a way to overcome his flatulence issues, or will they get the best of him? Find out in this fun new superhero series by PT Evans and Illustrated by Jake Tashjian. 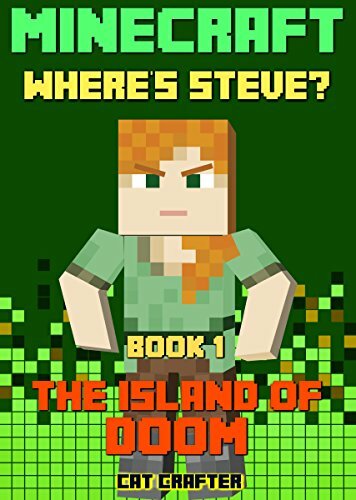 Steve is destined to save the world... but he’s gone missing! Now it’s up to Alex to find him. Teaming up with a wacky old wizard called Abraham and a crew of the laziest sailors around, Alex must brave storms, creepers, zombies and much worse to find out what has happened to her best friend. But will she be able to survive this crazy adventure? When will Abraham stop talking to random objects? What is going on with the mysterious island? And why does Captain Cat Danger like cats so much? Alex is a headstrong young woman who prefers to be left alone, but whether she would like to admit it or not, a chance meetup with a spunky stranger named Steve is about to chip away at her tough exterior. 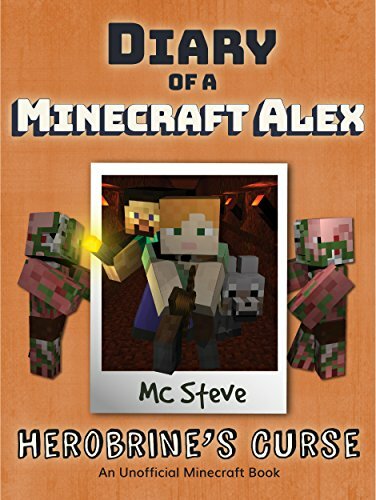 When Steve recounts the story of the wicked Herobrine's curse on the village and implores her to help, stubborn Alex dismisses the tale as nonsense. Little does she know that Herobrine's curse is very real and is about to turn her world upside down in a way she never would have dreamed possible. Will Alex join Steve in a quest to save the village? Is it even possible to save the village from this terrible curse? 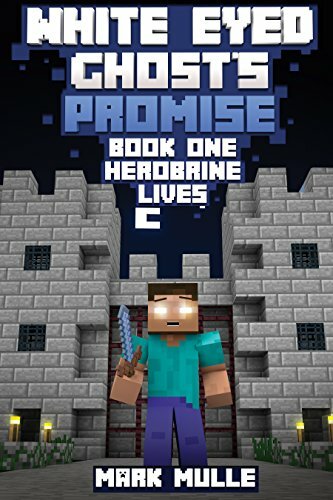 You will have to read “Herobrine's curse” to find out! An exciting Minecraft adventure you shouldn't miss! 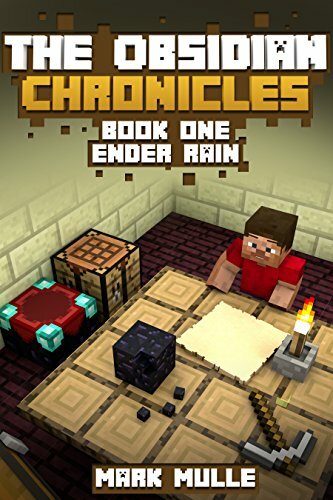 Cave-ins, explosive detonations, massive spiders, and the undead—these are all common problems for Vincent and his team of miners and crafters. Join them as they strategically battle new threats, enchant their gear with new power, and explore caves flowing with lava and teeming with darkness incarnate. Author's Note: This short story is for your reading pleasure. 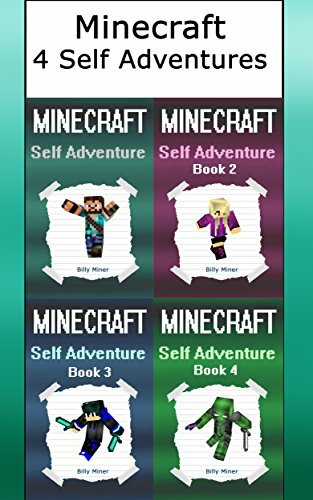 The characters in this "Minecraft Adventure Series" such as Steve, Endermen, Herobrine or Obsidian...etc are based on the Minecraft Game. You could say that is hardly possible for a Spider to be lonely or bored – all those legs and eyes – there must be something interesting you could do with it! Well, my story is different and I just might happen to be the loneliest Spider ever to be spawned in the world of blocks. That is why I’ve started writing a diary, yes! It gives me a feeling that I am not that alone and maybe someone will even read it someday! Until then I am using it as to-do-list and to write about occasional interesting mobs I stumble upon. Oh, yes! I also decided to leave the place where I was spawned and take a little adventure – I am not afraid, of course! I am an eight-legged monster. That is exactly how I ended up in the West Village, looking for Spiders’ Eyes (Yuck! Gross! ), so I could bring those to the Elders. Who are the elders? Oh, yes, I forgot to tell you about it, but you can read about it in my diary. I will let you take a peak! 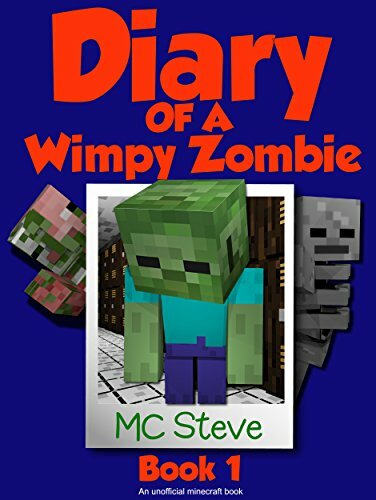 The very first diary of Skeleton Steve himself!! Welcome to a new adventure. 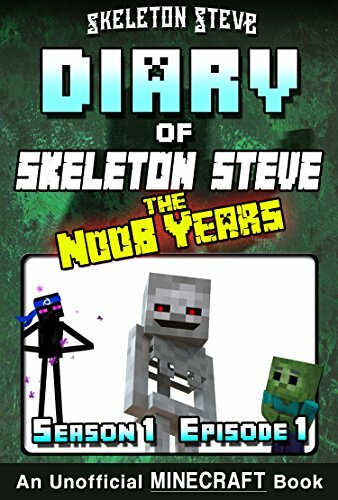 Follow along the 'The Noob Years' of Skeleton Steve, Minecraft writer and adventurer, back when he first started his travels on Diamodia! Fresh out of the "Enderman Ninja" series, Skeleton Steve and Elias the Enderman Ninja are traveling east to explore a distant village on the Enderman's map. The village's library is a great place to find an empty journal for Skeleton Steve's first diary, right?? But when the village turns out to be a zombie village, what manner of trouble will the two adventurers run into? And when a mysterious baby zombie offers to give Skeleton Steve the library's last empty book in exchange for finding his missing tome about the "Knight's Code", will Elias and the memory-challenged skeleton be up to the task? 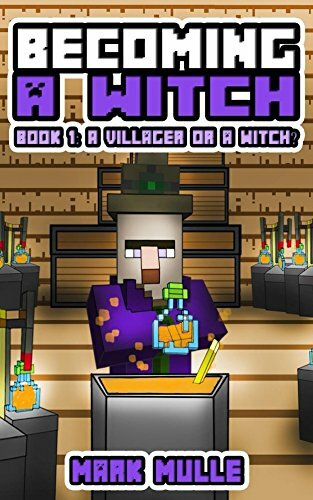 Becoming a Witch (Book 1): A Villager or a Witch? Ann is a villager who lives in a peaceful village with her fellow friends. She works on the field, planting Wheat. Her friends, Aly and Pete, are in charge of planting Carrots and Potatoes, respectively. They live happy lives and trade items with the human caravans who stop by every now and then. With the Emeralds they receive from the humans, the leader of the village known as Priest drains the powerful energy and uses it to protect the place from the night monsters. One day, though, the village is attacked by a group of griefers. The innocent villagers thought the humans came to trade with them, but instead, they just wanted to have some fun with the helpless villagers. Ann is frustrated with the attack, and wants to find a way to fight back. What if the humans return to destroy the village again? She wants to defend herself and the villagers against that. And in order to do so, Ann talks to a Witch to see what can be done. But what Ann doesn’t know is that she’ll have to do some drastic changes in order to save her people from the griefers. Steve wakes up to find himself in a strange, new land. What wonders and adventures await him as he wanders the world of Minecraft? In this new world, Steve has many choices he can make. Will he become a hero and champion of the just or will he become a villain feared by all? 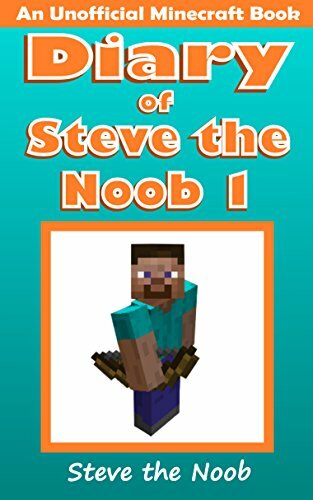 Find out in this fun and funny Minecraft Diary of Steve the Noob!